On August 22 the German government presented its ten-member Digital Council. The head of the Competence Center Public IT (ÖFIT) at Fraunhofer FOKUS, Prof. Peter Parycek, is a member of the council and will advise the government in particular on issues of digitization in public space. 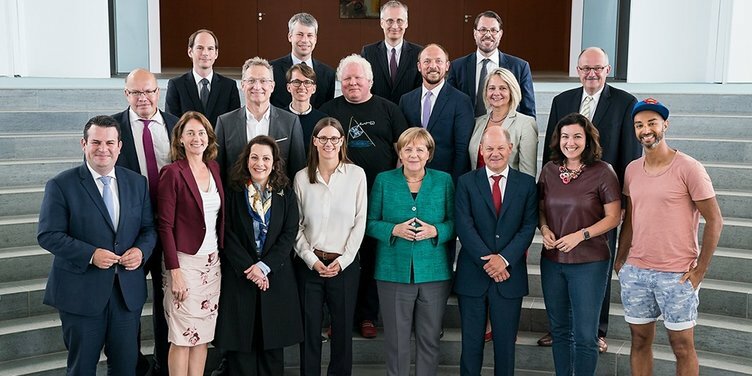 Chancellor Angela Merkel explained that it is the task of the Digital Council to advise and drive the federal government independently. The members of the council should primarily focus on four central topics: The future of work, dealing with data, the start-up scene and new opportunities for participation. In addition, a transversal issue is the question of how digitization affects culture and society. "I am honored to be able to advise the Federal Government on digitization issues. In particular, the Competence Center Public IT (ÖFIT) will contribute its knowledge on digital transformation of government, business and society and develop concepts for digitizing the public sector," said e-governance expert Peter Parycek. Peter Parycek heads the ÖFIT think tank at Fraunhofer FOKUS since July 2017. At the same time, Parycek is responsible for the Department of E-Governance in Economics and Administration and the Center for E-Governance at the Danube University Krems. Ada Pellert - Rector of the FernUniversität, Hagen – chairwoman of the board of the cooperation platform "Digitale Hochschule NRW"
The Competence Center Public IT (ÖFIT) sees itself as a contact and think-tank for public IT issues, with a special focus on social trends and the resulting fields of action. ÖFIT serves all current digital-political and digital-social topics and thus enables a forward-looking shaping of society in times of digitalization. ÖFIT is funded by the Federal Ministry of the Interior, Building and Community and is part of the business unit Digital Public Services (DPS) at Fraunhofer Institute FOKUS.